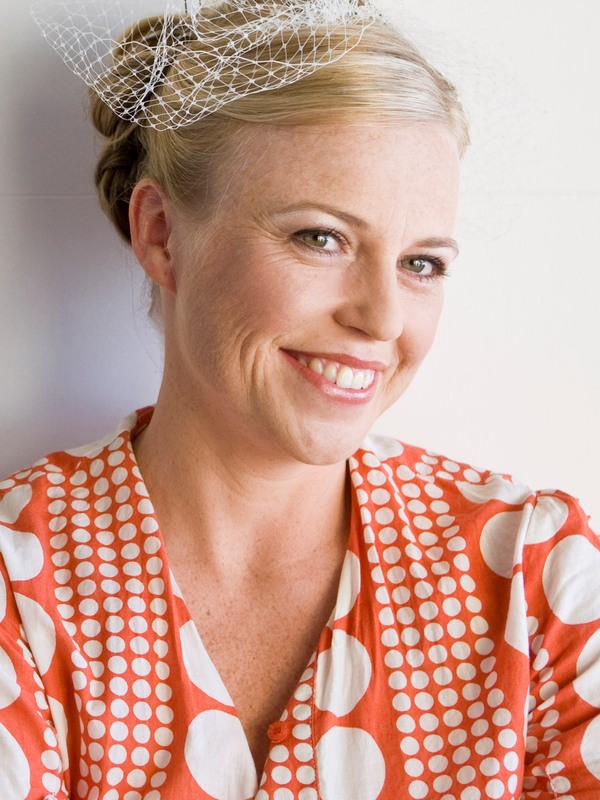 AK Leigh lives with her husband, three energetic children and one grumpy cat in Ipswich. A self-confessed book lover, an identical triplet (how cool is that) and the holder of a graduate degree in counselling, she is also the author of debut novel, See Her Run. Extract available here. Q. This is your first published novel. The first question has to be, ‘How did you get published?’ so, do you mind sharing how you filled the void between finishing the novel and achieving a deal with Momentum. A. I began by submitting See Her Run to a handful of agents, and entering it in competitions. I received the standard “not for us but keep trying” response. Finally, I applied for an interview with (Acquisitions Editor at Pan Macmillan) Haylee Nash and was offered a contract with Momentum as a result. All up, it took a little under two years. It felt like a hundred! Q. Those ‘not-for-us’ responses can be disappointing, especially when you call Ipswich home. For a Queensland writer, Ipswich has to be pretty ideal as far as proximity to the local publishing business. Location, location, location and all that. But you finally struck gold at WriteFest. How did that come about? A. I actually Googled something like “writing conventions Australia” and WriteFest popped up in the search. I had been to Bundaberg before, so I knew a little about the area. Of course, I knew about the turtles and the rum and Bert Hinkler is one of my husband’s heroes. The Masterclass, and the fact it was run by an Editor, caught my eye. I wanted to do as many things as possible to improve my writing and a WriteFest Masterclass seemed like a good place to start. The first year (2013), I also applied for an interview but didn’t get accepted. Q. So, another disappointment. Another polite refusal of the MS. But you came back in 2014. A. Yes. I’d enjoyed my first trip to WriteFest, and the masterclass really helped me. I learned so many things about writing that helped me make my manuscript better than I could have without the experience. But it was when I saw there were publisher interviews in 2014 that I thought I’d give it another shot (despite not being successful the year before). I had completed a lot of work on the manuscript in that year and thought it was time to test it out on a publisher instead of an agent. Q. You’d been working on the story for some time at that stage, well past first draft. Realistically, it should have been as ready as it could be. But I can tell you, half the trick is finding the publisher (or agent) who speaks your language. I guess everything came together with Haylee Nash in 2014. A. Haylee was brilliant. She was supportive and easy to talk to throughout the entire process. She made me feel relaxed and comfortable from the moment we met. She said the first three chapters grabbed her attention and made her want to keep reading. That was nice to hear! I wanted to show women coming out of similar experiences that there was a way to move through the trust issues and find love again. Q. Always good to hear all those workshops about creating hooks were value for money! But it wasn’t just the hook gave this story legs. I believe See Her Run has its roots in personal experience. Drawing on a powerful experience can really drive a story forward. I hope you can give us a quick run-down – without giving the plot away. A. The story deals with the fallout of escaping an abusive relationship. I wanted to show women coming out of similar experiences that there was a way to move through the trust issues and find love again. The story’s set in rural North Carolina, a place I’ve visited and fallen in love with. If anyone ever gets the chance to go to Asheville, do it! Q. Well, that answers my next question (which would have been, ‘Why North Carolina,’ but tell us why you chose a rural setting over something urban and gritty. This is Romantic Suspense. A. I like the space and fresh air of the country (and have lived in the South East Queensland country – Lockyer Valley – before), plus the location came by itself. Other writers will understand what I mean. Q. You’ve said your first ever story came out of personal experience too, when as a school girl you wrote a romance about a boy you had a crush on, so you’ve obviously a natural inclintion towards the romance genre. I love romantic suspense, and am currently working on both the sequel and prequel to See Her Run, which will both be romantic suspense. Q. Have you committed firmly to Romantic Suspense? A. It is not the only genre I’m interested in. I’ve completed three contemporary romance manuscripts (still deciding what to do with those) and have half a dozen semi-complete manuscripts in the paranormal romance, time travel romance, fantasy romance, YA romance, and of course romantic suspense, genres. Q. So, getting published is one thing, but the job’s not done yet. I’ve noticed you’re an active marketer. And you’ve some great reviews across a wide spectrum of sites. And your blog address is very cool. A. Thanks. I think it helps to have your presence out there. I had my website, blog, Twitter, Goodreads and Facebook social media organised before See Her Run was published. I decided early on to use something catchier than my name for my website address, which is when I came up with the slogan “Fall in love with Leigh”. Q. Yes, I like the way it plays with meaning. Catchy. But, last question, are you coming to Bundaberg for WriteFest again this year? A. Of course. I enjoy networking with other authors and believe that a writer should never stop trying to refine their skills. But also, there is a great line up this year. In particular, I am looking forward to Graeme Simsion and Shannon Curtis’ classes. And then there are people I have met through previous years and who I want to catch up with. Alex Adsett is actively seeking works with some element of crime, mystery, science fiction or fantasy, as well as romance stories, including saga, women’s fiction, paranormal, chick lit or rural. She is interested in Young Adult Fiction, Adult fiction, literary works, as well as children’s fiction. Grievous Harm is doing really well. Back orders piling up. Reprinting to cover the gap. Mind you, she’s hardly in town these days. Promoting like crazy.